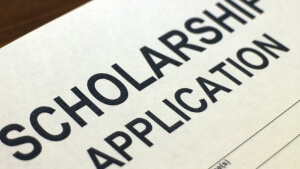 Getting accepted for a scholarship can seem like an uphill battle, especially when you realize that you are probably applicant 1,737 of 5,000. With so many applicants, how in the world are you supposed to stand out? Well, with the right information, some good advice, and a plan, it’s possible. Since you’re still in high school, you have some time to get everything in order. And, with these 5 scholarship application tips, you should be well on your way to winning a few scholarships. If you are a senior, you’re behind schedule already. Even so, it’s time to get started looking for scholarships that you can apply to. If you aren’t a senior, this is the perfect time to get started. Why does getting started early matter? By starting your search as soon as possible, you are able to maximize your search to find the most relevant scholarships for you. Once you’ve found the right scholarships then you can start working to figure out when to submit each one, what to write, who to contact, and so on. Also, the closer to the deadlines the more likely you are to make a mistake, become overwhelmed, or completely miss the deadline. There is no reason to let a scholarship application cause you stress and fear; in fad, it should be the other way around. You should be excited about all the new opportunities that you can apply for. There is a saying that says you miss all the shots you don’t take. And when it comes to scholarship applications, this could not be more accurate. If you don’t apply, you won’t win the scholarship. They are not coming to you, unless you are the your school (and even then, they may not come to you). Instead, make sure that you find every scholarship application that you are eligible for. If you can’t seem to find many, then seek assistance from your scholarship counselor or look through resources online. There are far too many applications that go unclaimed every year because no one knows about them. Capitalize on this and reap the benefits. Understandably, this is a lot to do for one application, but it has to be perfect. Don’t leave anything up to chance. A recommendation letter is great for showing endorsement of an individual. In this case, they are saying that they are willing to put their name behind you, that they believe in you, and your ability to do great with the additional help from a scholarship. So, find someone who can give you a great recommendation letter. In most cases a teacher, a coach, a mentor, a former/current boss, or another high-ranking person can write a recommendation letter for you. One thing to remember is make sure you inform the writer what scholarship(s) you are applying for, so that they can write a relevant recommendation letter for you. It is amazing how many recommendations are just general fodder best; these are tossed aside or completely ignored as they are generic fulfillment requests. Find someone willing to take the time to craft a great recommendation letter and not something that could have been pulled off the internet. For assistance with writing a recommendation letter visit our home page for custom requests and help. Remember the saying that first impressions matter? Well, they do. So, you should take the time to practice your interviewing skills. As a student, you’ve probably not been through too many interviews, so you might be a bit nervous. That’s totally understandable and expected. However, you must put your best foot forward in order to impress the interviewer. Most scholarships will require an in-person interview, but, that doesn’t mean you have to be the one that they remember because you stuttered and stumbled through your answers. There are plenty of resources available online that will give you a rough idea of what you will be asked. Print out all the questions you can find, then write the answers down. After that, read through each question and then say the answer aloud. Once you feel comfortable doing this ask someone to become your interviewer, going through the same questions. The important part of this process is getting used to the atmosphere and the questions. Maybe you find this too simple. In that case, go to a public setting such as a local coffee brewery with someone you aren’t as comfortable asking you the questions. Now you are in an environment that everyone is watching you and someone who makes you a little nervous. Now you are getting the full effect of an interview, without being in the interview. The point is, you need to get as comfortable as possible so you can present the best you possible. Remember, the interviewer is interested in you, so just be yourself. The scholarship process is fairly straightforward. However, there are plenty of students that miss out simply because they don’t apply at all. For you, this is not an option. But winning scholarships can be difficult at best. Armed with the knowledge from these tips some resource counselors and online repositories you should easily be able to knock it out of the ballpark and win a few scholarships for your financial and educational future.